We knew the aliens would return at some point. 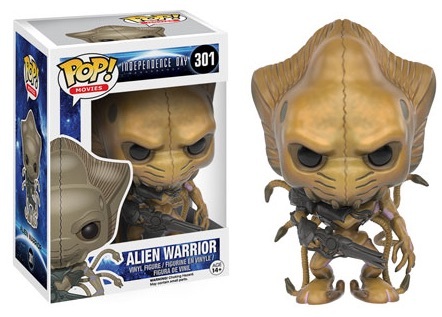 2016 Funko Pop Independence Day Resurgence looks to the sequel that is set 20 years after Independence Day. 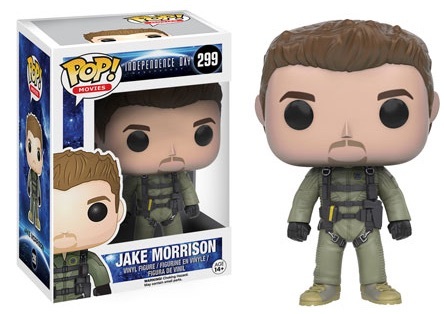 The figures include Jake Morrison, David Levinson and one of the pesky aliens. With two decades to recover and rebuild, Independence Day: Resurgence shows both sides of the response to the events of the 1996 film where Earth was saved from an alien invasion. Now, the aliens are back with an even bigger fleet and it falls on Jake Morrison, a top fighter pilot, and David Levinson (from the original movie) to try and defeat the aliens once again. 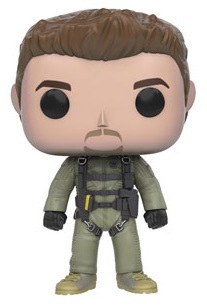 The Funko Pop Independence Day Resurgence vinyl figures keep things on the minimal side with Liam Hemsworth as Jake Morrison and Jeff Goldblum as David Levinson being the only human choices. 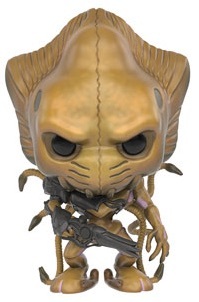 There is also an Alien Warrior that looks very similar to the 1996 creature but with a new weapon. This release builds on the Funko Pop Independence Day set from earlier in 2016. Although Will Smith as Steve Hiller did not return in Resurgence, Bill Pullman as President Whitmore, Judd Hirsh as Julius Levinson and Vivica A. Fox as Jasmine Dubrow-Hiller all reprise their roles. However, none of these secondary characters are part of the new Pop! line. 2016 Funko Pop Independence Day Resurgence is numbered as part of Pop! Movies and each of the subjects are around 3 3/4" tall. 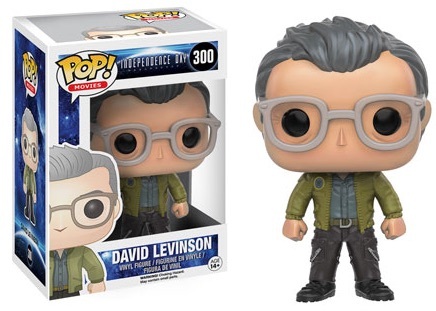 Independence Day: Resurgence David Levinson #300 Funko Pop! INDEPENDENCE DAY #283 ALIEN (CHASE) EXCLUSIVE FUNKO Pop Vinyl Figure NEW RARE!